IFESA (The Irish Fire and Emergency Services Association) said today (Monday, 19 th Dec.) that a decision by the Advertising Standards Authority for Ireland (ASAI) that it has no jurisdiction to rule on an IFESA complaint regarding a broadcast advertisement for the Eircode system is concerning and should be clarified by the ASAI. The advertising watchdog has said it does not have the power to ban Government-produced ads promoting the benefits of Eircode despite finding that the broadcasts were misleading. The ASAI has informed IFESA that it now regards the Eircode advertisement as a ‘Public Notice' and as such it falls outside the remit of the ASAI code. IFESA had lodged a complaint with ASAI that the Eircode advertisement was not an honest and truthful advertisement was very misleading and was in fact a dangerous statement to make. The Irish Fire and Emergency Services Association (IFESA) has strong condemned an attack on a fire tender responding to a fire in a car park in Sligo on Thursday last. The incident in which rocks were thrown at the fire tender resulted in one fireman being hospitalised. Ros MacCobb , IFESA Vice President said attacks on members of the emergency services could never be condoned and he called on politicians and community leaders throughout the country to voice their strong condemnation of such attacks when they occur. 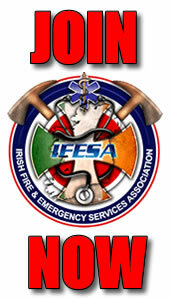 The Irish Fire and Emergency Services Association (IFESA) said today (May 7 th ) that support expressed by the Chief Fire Officers Association at their AGM yesterday (May 6 th ) for the use of fire officers as first responders in cases where an ambulance in not available confirmed that there is now a growing consensus in support of IFESA ' s call for the development of a National fire based emergency medical service (EMS) and the development of a National Fire and Ambulance service in Ireland to respond to medical emergencies. ‘ IFESA Vice President, Ros MacCobb, said that the support for a fire based EMS by the Chief Fire Officers Association comes just weeks after Health Minister, Leo Varadkar expressed similar support for such a service when he told the Seanad that there was a ‘ strong case ‘ for training fire crews to assist with emergency ambulance service responses. The Irish Fire and Emergency Services Association (IFESA) has today (Thursday) called for greater action to address cancer risks to firefighters following evidence to MEP's of unacceptably high rates of cancer among the profession. 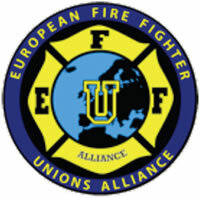 Following a European Parliament meeting of the European Fire Fighters Unions Alliance (EFFUA) - of which IFESA is a member - with the MEP group MEP's Against Cancer (MAC), IFESA President John Kidd said the international evidence is now conclusive that constant exposure to deadly toxic smoke and particles in the line of duty is resulting in unacceptably high rates of cancer among firefighters. IFESA President John Kidd explained to Joe Duffy on Liveline why IFESA is opposed to the proposals for the HSE to take over the running of the DFB ambulance service. 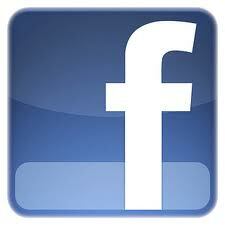 Click HERE to hear the Liveline interview. The Irish Fire and Emergency Service Association (IFESA) today (Thursday 29 th Jan ) expressed serious concerns at proposed reductions in the manning levels and changed rostering arrangements of Retained Firefighter crews being adopted by Chief Fire Officers throughout the country as part of the implementation of the Department of Environment Community and Local Government's ‘Keep Communities Safe' (KCS) policy. IFESA said the implementation of the new guidelines (Good Practice Note 2.6) issued by the NDEFM in December 2014 and endorsed by the National Director for Fire and Emergency Management will mean that the weight of response to Fire Service incidents in Ireland will now be at danger levels both to the public but also to the Safety of Retained Firefighters that arrive on the scene. IFESA said it totally rejects the justification by the National Director to Chief Fire Officers and County Mangers throughout the country that these manning and roster changes are in the public interest. John Kidd on "The Last Word"